When we look back at history objectively we see people that shaped events and people that followed events. With the passage of time it becomes clear; the true leaders, the innovators, are separated from the demagogues and the opportunists. Recently someone asked me, in the eternal quest to understand the Holocaust, if Hitler created anti Jewish feelings and hatred or if people already felt this way in Europe. I responded that based on my extensive studies if a German politician at that time was having trouble getting elected, he could always resort to the time proven method of incitement against "The Jews". Blame the Jew, the eternal scapegoat, and your position among the voters will improve. So Hitler was not a true leader in that sense but a follower. The Jews had already been blamed for Germany's defeat in World War One and for all the hardships that Germans were experiencing. Germany was going through a rough time. The anger and hatred was there. Hitler followed public sentiment and built on it. He took a time proven technique and went with it. A true leader does not do this. A few years ago my brother offered me to invest in his shop. I thought I would invest in music videos because that interested me. He told me quite clearly, "If it makes money it interests me, if it does not make money it does not interest me." He was very wise. I ended up investing in computer games. I have not played a single computer game my entire life. In this case we are giving the people what they want, we are selling them what they want to buy, that is good business. There is no "ideology" or "higher purpose" here, just smart business. See a need and take care of it. Now let's apply this to Krav Maga and our life goals. Every day in every country we hear terrifying stories of violence. This defies our "pursuit of happiness", but yet we do little about it. Those few teachers that teach real self defense are for the most part not getting rich. I am not at all opposed to getting rich, but I will not compromise my integrity to achieve that. You can have both. There are martial arts schools on nearly every corner in places like "The Valley" in California but what are they teaching? They are teaching sports martial arts for kids, or Cultural Martial Arts for adults, they are giving the people what they want, they are following market trends. They are going with what is "hot". We are not. For many years I taught kids. At the time I was teaching various forms of Karate and Judo with some Jujitsu and Krav Maga. 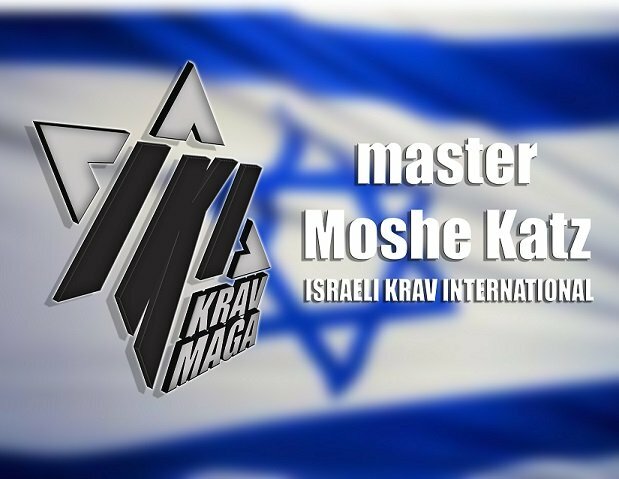 Over a process of several decades this evolved into our current unique style of IKI Krav Maga. These kids have all grown up, served in the military, and many have married. Now and then I get a phone call with "I want to come back for a few lessons". Sure, always happy to see them but often they are disappointed. They say "I want to hit something, I want to fight, I want to punch" and then they join the class and we are doing knife defense, gun defense, situational awareness. After class come the polite but clear questions, "Don't you spar anymore? What happened to the boxing classes?" And I reply with my usual Spiel (story, Yiddish) that for years I taught many martial arts but if you do Kung Fu on Sunday, Krav Maga on Tuesday and Kickboxing on Thursday and then every other week you miss a few classes, you will never be any good at any of them. So I chose what I believe in most, practical self defense, took the best of everything and that is what I teach now. So no, I no longer teach boxing etc. We do not have time for that but I can recommend a good instructor. So I return to the basics: what are your goals? My brother's goal was to increase sales, so we invested in video games. Hitlers' goal was to get elected, so he used Jew hatred, our goal is to provide the means for the average person to learn to defend and protect themselves, so we focus on IKI Krav Maga. I am not going to "give the people what they want", i.e. if I see they like boxing so now I will focus on boxing, if they like sport sparring I will focus on that, no. I am not a politician or a businessman who "sways with the times" and adapts to the political or business climate. I stand for something and that is what I will teach. That is what I will stick to. Our Krav Maga adapts to the self defense and survival needs of the times, yes, but it does not change based on the personal preferences of the population. We must lead, not follow. In a place where there is no man, be the man. True leaders; Moses, the Judges of Israel, the Prophets of Israel, are often not popular, they often suffer but they never forget their mandate, their objective, their goals, and in the end they are remembered and honored. When we look back at history we shall see those who merely followed a trend and those who led, we see those who made an impact. In hindsight it becomes clear. Which do you wish to be?